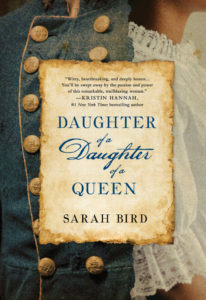 Novelist Sarah Bird is our guest week. We’ll be talking with her about her new novel, Daughter of a Daughter of a Queen (September 4, 2018, St. Martin’s Press). Writing on the Air is broadcast each Wednesday at 6pm Central from the KOOP Radio studios in Austin, Texas. We’re heard on 91.7FM KOOP – Austin, KOOP.org, TuneIn.com and Radio Free America. Episodes are available in our Radio Free America archive for 2 weeks after broadcast. Did you know we have over 150 podcast episodes? To listen, just browse our episodes here on our website & download the audios from each page; or you can download the podcast from the Podcast ap and iTunes. 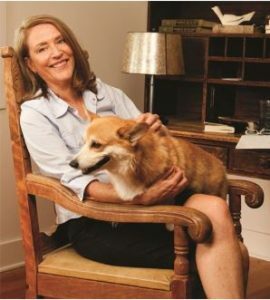 Sarah Bird is the author of ten novels. Her latest, Daughter of a Daughter of a Queen, is a tribute to Cathy/Cathay Williams, the only woman to serve with the fabled Buffalo Soldiers. It will be released as a lead title on Sept. 4, 2018 by St. Martin’s Press. Learn more at SarahBirdBooks.com. You can find Sarah on Facebook, Instagram and Twitter. PRAISE FOR Daughter of a Daughter of a Queen (September 4, 2018, St. Martin’s).